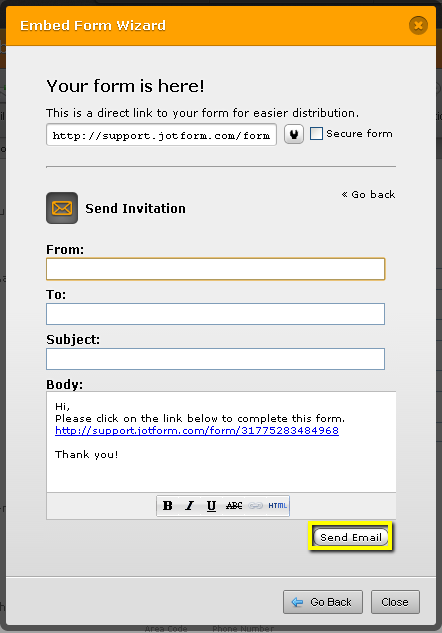 I can send only 2 emails from Jotform per day? why it's not allowing to submit not more than two email/day in free account. 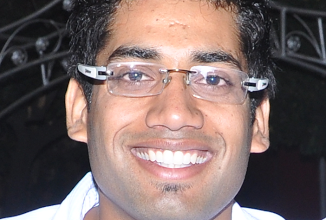 It's not mentioned any where that free account holder can send only two mails per day. There is no daily limit for free plans. 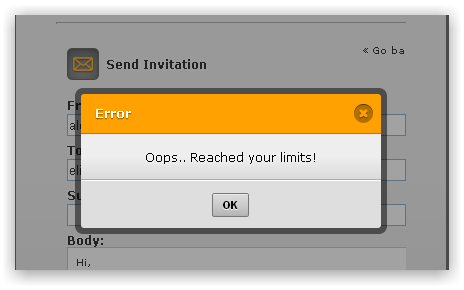 May I know the error message you are getting when testing submission? So that we know what is causing the issue you are having. Thank you and i will wait for your response to assist you further. Request you to check this error which am getting after sending two emails. more than two one by one at that time. 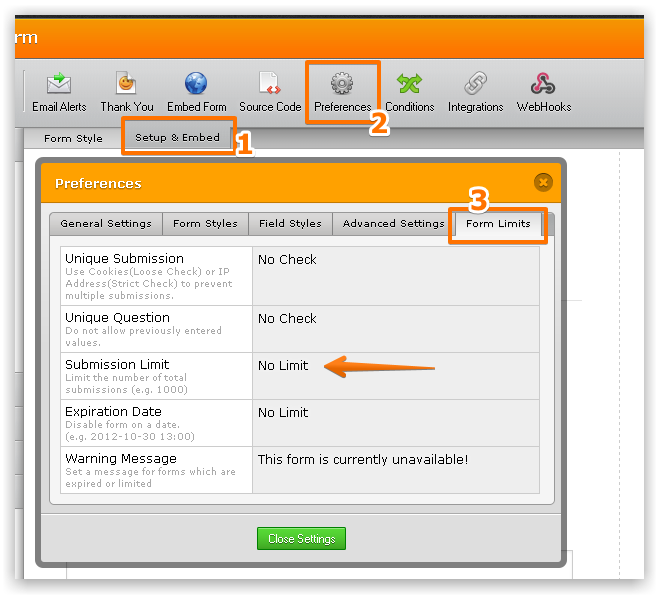 On Oct 30, 2013 1:07 AM, "JotForm Support Forum"
But I was able to see that you have not setup any limitations in your forms. Then, you will be able to send other 2 emails after one hour. I hope this helps, please let us know if you need further assistance. But if you need assistance with something different, kindly open a new thread to post your questions. Just Click HERE to open a new thread.